“If a patient has a low oxygen saturation and they respond to supplemental oxygen why don’t we just put them on a non rebreather mask non-stop? It would surely provide them with enough oxygen that they would never desaturate”. Secondly, increased blood levels of O2 can suppress the ventillatory drive, especially in patients with Chronic Obstructive Pulmonary Disease (COPD) who demonstrate CO2 retention(1-2). CO2 retention, defined as increased blood gas values of CO2, can occur in patients with severe COPD (1). The mechanisms for this physiological process are still not completely understood. Carbon dioxide values, in a normal functioning system, regulates the drive to breath, via central and peripheral chemoreceptors (3). In patients with CO2 retention this mechanism is altered and their body responds to circulating levels of oxygen; lower levels of O2 facilitates breathing and higher amounts suppress (1-3). 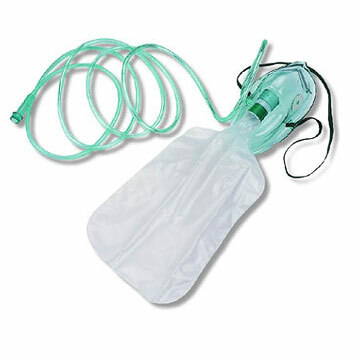 Therefore increasing the amount of delivered oxygen to a patient with this condition could possibly result in apnea. Hyperoxia (higher than normal levels of oxygen) has also been shown have other systemic effects on the body (4-7). In the peripheral vasculature, hyperoxia causes vasoconstriction. The amounts of vasoconstriction and blood flow reduction varies in body area as the coronary arteries and brachial arteries demonstrate markedly reduced blood flow when exposed to hyperoxic states, the reduction in the cerebral arteries appears to be less (5-7). In addition to the vasoactive effects, hyperoxia can also lead to an increase in reactive oxygen species which can lead to oxidative stress and damage tissue (7). Rarely does one chemical, tissue or system act completely in isolation. Your body is not a petri dish and we do not operate in a vacuum. The effects from something seemingly innocuous to one organ system may result in deleterious effects to another. Just because the reaction in a cell to a given amount of substance is beneficial is does not always mean that more of that chemical is always good. Human physiology is a story, with many subplots and characters with an exer-expanding number of volumes as we learn more about the body. 7 Rossi P and Boussuges A, Hyperoxia-induced arterial compliance decrease in healthy man, Clin Physiol Funct Imaging. 2005 Jan;25(1):10-5 source.